This is a wonderful story. I loved everything about it. I love small communities like the one in this story. The characters are well-developed and I enjoyed getting to know their different personalities. I liked how well they dealt with adversity. Ursula is my hero. I want to be just like her when I grow up. Mac is great too and I love Blossom. The setting is laid out very well and the story flows well from chapter to chapter making it easy to follow along. The book cover is awesome and the title of the book is perfect for the story. I highly recommend this book to other readers. It has a great plot and a sweet romance too. 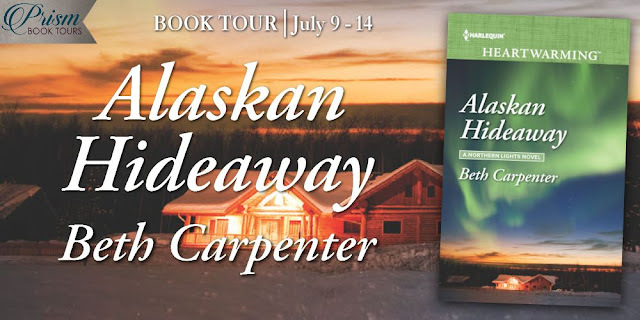 The Alaskan Catch by Beth Carpenter is the latest in the Northern Lights series and did not disappoint the reader! This was a very captivating tale of two people very familiar with loss and a feeling of void in their lives. The two key individuals in this story, recently experienced traumatic personal loss and unexpected change in their lives. One is very Bitter and wants to be left alone, the other is very positive, surrounding her and her Goddaughter with people and staying busy. Still, one is doing all in his power to make sure justice is served and feels no compassion for anyone. The other relies on Faith and trusts in God that there is a reason for all things. She feels the day will come when all will be understood. Best selling Author, R.D. Macleod has a dog and a new, secluded home. Ursula Anderson has a B & B.and a very precocious, talented goddaughter. The new owner of the property Ursula had hoped to purchase fenced off the path at the end of his property Ursula's guests have always used to get to the ski/snowshoe area. At first, Ursula tries to persuade with "honey instead of vinegar", but then she has a change of attitude when he refuses to allow the use of his property. Alaskan Hideaway is an uplifting, inspiring tale, ideal fo Book Clubs, which effectively addresses the issues of pain, loss, sorrow, anger, forgiveness, unselfish service, compromise and leaving judgment of others to a higher authority. I offer a Five Stars rating of this novel. *This was gifted to me with no request for a positive review. This is my honest review. So often when an injustice is done,we feel compelled to correct it. When at times this is good, it can also become obsessive to the point it consumes us and we can loose all focus and become miserable to ourselves and to those around us. A sure way to find peace and consolation is to lose ourselves in service to others. This sounds inedible but it truly works! 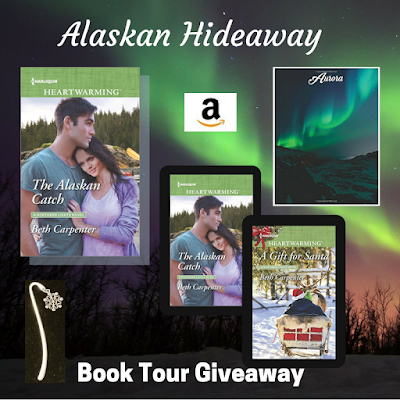 Thanks, Vickie, for the wonderful review and for having Alaskan Hideaway on your blog. It was our pleasure, Beth, these are amazing novels! This book sounds really lovely. I can't wait to read it. Love the book cover and the synopsis and of course the author thanks for the chance.